The ultimate colour of Asian culture, the symbol of joy and life. The colour of good luck in China, of purity in India, the sun in Japan and love for us. Love for fresh ingredients, food of high quality and authentic recipes. Close your eyes and let the red string of fate, of the famous Asian myth connect you with Akai - your heart’s restaurant. Enjoy! For Asian culture red is the most auspicious colour and at special occasions, red envelopes with money are handed out. Red is related with the first chakra, the main chakra of the seven life-force energy centres of the body, which is located at the base of the spine - the axis of our existence! Hence, it symbolises our connection with earth and relates us to all the sources of life. Independence, enthusiasm, passion! the invisible red cord, brings together those who are meant to meet. And that’s how passion for affordable luxury brings you to Akai. Close your eyes and let the invisible red cord connect you with Akai- your heart’s restaurant. Taste unique dishes that will awaken your instincts and please all of your senses. Every flavour is a unique experience, a delectable temptation that you surely couldn’t resist! at a special ceremony that takes place so that the friends and relatives meet the baby. The red circle of Japanese flag represents the «rising sun». The modern space with unique minimal interior has been inspired from the Asian art of cutting and folding paper, kirigami. Unique style, space and a friendly atmosphere set up an environment that its personality is reflected on the Asian philosophy and culture. Akai it is then; and let the colour of power and passion take you on a journey to the ultimate savorous experiences. Our freslhy rolled sushi will surprise your taste buds and our hot dishes will take you on a journey into Asian exquisite taste. Stir fried: The food is cooked on a high temperature and with very little oil. Tepaniyaki: The food is cooked with very little oil on a hot metal surface. Yakitori: The food is cooked on charcoal. 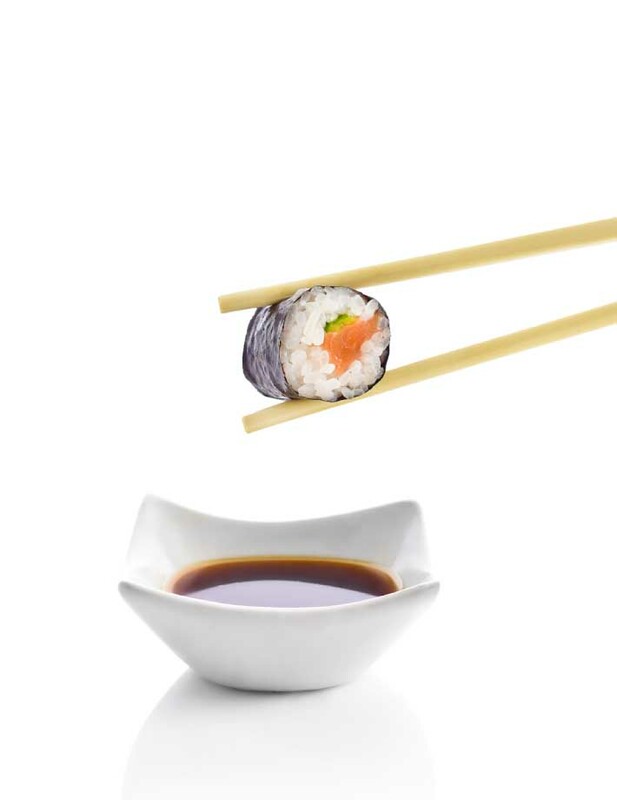 Our sushi is prepared in a special steralised room, with specific temperature and our chefs need to place their hands in the antiseptic machine outside the room for the door to open. We regularly take the temperature of the displayed food to be sure that it’s just as it has to be when you take it. The duck we use in our dishes is from the Irish farm Silver Hill, which is considered the best in the world and it can be found in the best Asian restaurants in Europe. It has been nominated the best quality & taste food award. We only use the famous Norwegian salmon, which not only has the best quality but it also offers the best nutritional value. Our vegetables are fresh and from local suppliers. 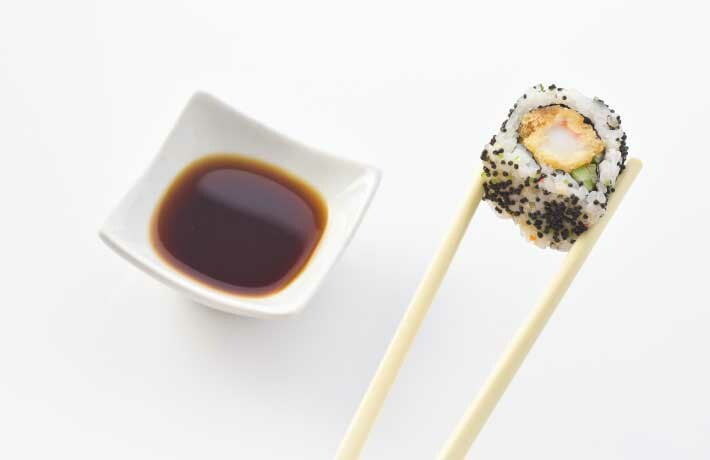 We use the best and most expensive Japanese seaweed for our sushi. 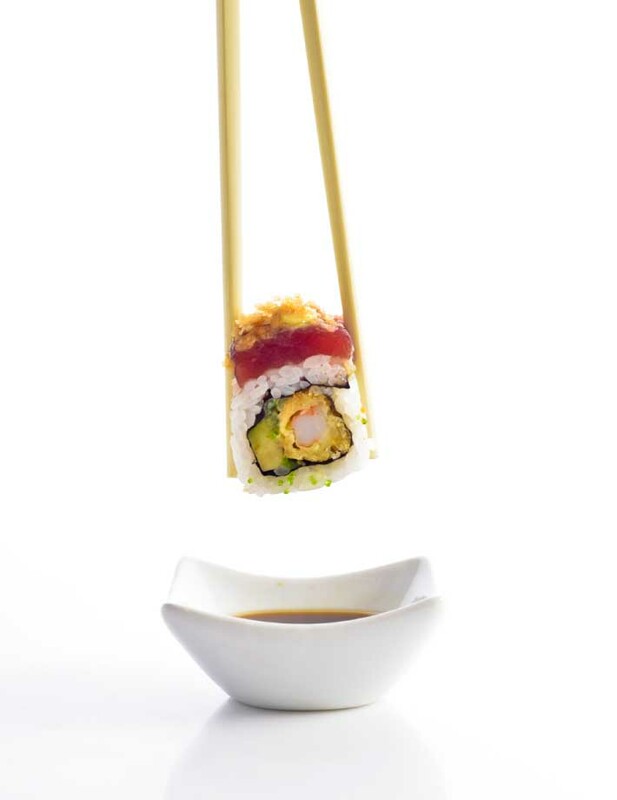 We only use Bluefin tuna, which is the best quality tuna in the world. 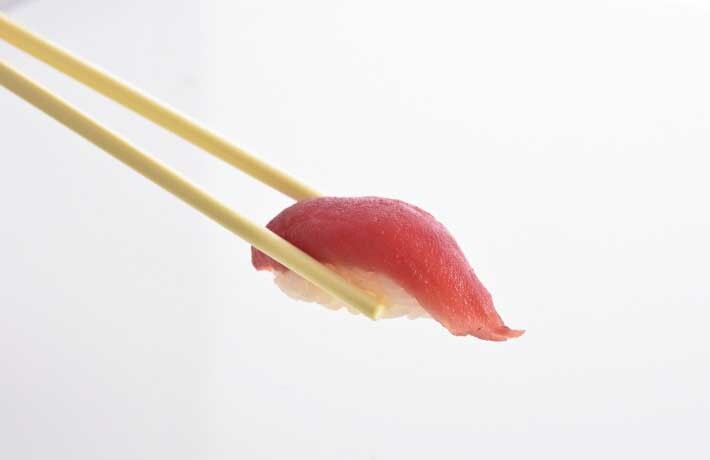 The rice used for our sushi is Authentic Japanese and of high quality.